If I wrote a book on brewing sour beer, would you buy it? At the moment I'm about 45,000 words into writing an as yet untitled book on the variety of methods for producing sour beer. Wild Brews is a great book, but it spends 95% of its focus on tradition Belgian techniques. My goal is to write a book that takes a closer look at the production methods homebrewers and American craft brewers have developed to produce tart and funky beers. I'm relying mostly on the experience I've gained brewing ~40 batches of sour beer over the last five years (plus the time I've spent assisting at breweries and brewpubs), but I'll also be pestering every brewer that has made a name for themselves with acid beers. The book is not going to be a compilation of rehashed posts; it will be a distillation of everything I've learned about making great sour beers. The draft already contains my thoughts on all the relevant topics, but I'm still compiling information on how craft breweries operate from interviews, articles, and websites (before I start contacting the brewers directly to fill in the gaps). I'm not sure what the time frame for the project is going to be, but I'd certainly like to have it out by the end of the year. At the moment self-publishing looks like the best option (Lulu or something similar), but I'll probably harass some actual publishers as well once it gets closer to being finished. Leave a comment or send me an email with any questions you'd like to have answered (either by me or a specific brewer), any topic/technique/style/beer you would like to know more about, anyone you think I should talk to, any experiments you think I should carry out, and any other suggestions you have. Ideally the book will not only help someone brew their first sour beer but also be deep enough to give people who have been brewing them for years some inspiration. Thanks to everyone who has sent me encouraging words over the past five years (and everyone who has linked to the blog, commented, sent me beers, or shared their knowledge). And don't worry, the blog will continue to receive regular updates (in fact I'm a little bit behind posting about a couple batches I have going). 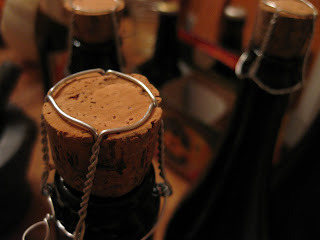 I am backlogged on brewing books I would like to read, including farmhouse ales and similar. Assuming those don't already cover sour beers, then I definitely would be interested in your book when the time comes. Hi Mike - good on you for putting pen to paper and getting something like this done. If you're keen to do some serious research, I'd love to see some hard facts on how hopping and alpha acid levels actually affect sour beer bugs. Is it really necessary to use aged or very low alpha hops? To what extent does it affect the process? As an adjunct to that (hah) - how does mash hopping in styles like Berlinner-weise (so far my only successful sour beer styles) add volatile flavour compounds, and some bitterness without isomerising the hop oils without a boil? And can we establish a rough formula for bitterness additions from a mash hop? If you could include a troubleshooting section in the book, that would be great. Ie: I have white ropey scunge - is that good? Or blue/green mould - keep or toss it? Oh - and how about the differences between pitching bugs then sacc, or sacc then bugs, or both at the same time? Perhaps a side by side? If you're pestering brewers, make sure Terry of Farmer's Cabinet and formerly of Bullfrog Brewing is on the list. I can't help but feel like he's almost the Vinnie of the East Coast with his excellence in all things hoppy and sour(separately). awesome! Whenever I flip through wild brews or similar books I never get enough information on the nitty gritty. Something for sours that focuses on technique would be great. Information on sanitization, strain style guide, and bug maintenance would be great additions to this book. I am not sure how much you can book in the book about commercial beers, but info on what bacteria they use to sculpt the flavor profile of beers will go a long way to homebrewers trying out sour brewing. Thanks for writing the book, I think it fills a nice gap in the beer books. Farmhouse Ales, Brewing with Wheat, and Brew Like a Monk all have bits about sour beers, but Wild Brews is the only one that focuses on it. My take on aged hops is that they are only important for spontaneous fermentations (where they protect the beer before the Saccharomyces gets going). Sadly real bitterness calculations take equipment I don't have. A troubleshooting section is a really good idea. Terry is certainly on the list. Nathan and I brewed with him last year. I need to go back and listen to the interview we recorded. No pre-orders at the moment, we'll see once the writing is done. Yeah, I want it to really be for the sour nerds, stuff you can really use. As a somewhat newer homebrewer (about 15 batches), I have always been intrigued by sour beers, but have never given it a shot. It would be great to have a section or the real basics of brewing sour beers (extra equipment, basic how to, etc). Also tips on how to brew an occasional sour but continue to brew regular beer with the same equipment. Part of me is reluctant to brew a sour because I don't want to risk infection of future batches (I know that this is probably unfounded since I practice good sanitation, but always good to have some level of certainty). Love your blog, keep up the good work. Sounds great - I would buy it. This is great stuff. You have been very helpful in the odd email exchange and to get that info in a book would be fantastic. A book written in the frank, east yo understand language of your post on how to brew sour ales at home would be invaluable. More of a "how to" than a scientific manual. I would buy it! These posts are great and what better information than from actual experience! -More in depth on the handling of bugs. Your post a little while back about maintaining cultures was great, but that's just the start. I'd love to see more information about pitching rates, etc. if you have it. The technical side of me has a hard time just pitching some random dregs and letting it rip. Thanks so much for all the info you have given so far, and good luck with the book. I can't wait to read it. 1) I would like a chart or lots of detail on wild yeast and other critters and what makes them happy fermentors or dead. i.e. lacto likes temps of x-y and IBUs < 12. Brett b. likes 70 temps. and takes several months to finish. There is a lot of opinions on-line, like everything, but I would like to see some experienced opinions. 2) How to make a house culture and keep it going. I want to capture my own wild yeast, add some bottle dregs and perhaps some commercial critters but how to I keep them happy to brew a few batches a year with that slurry. Jolly Pumpkin has a great house yeast collection and I would like my own. Not of every beer but for a few different styles a year it would be great. It sounds daunting and exciting. I didn't see the poll since it doesn't show up in google reader, but I'd definitely buy that book! Yes, I would definitely buy it. As you said, Wild Brews is a great book, but focuses on traditional techniques. I'd love for your book to cover newer techniques that are relevant to homebrewers. Thanks for all the encouragement, luckily most of the suggestions were things I was planning to include. Sadly I don't have the technical background to do too many tests. I'll cover Lambics a bit, but this is really intended to be aimed at American techniques. I think the big difference comparing American sours to Lambics is the technique (complex mashes, spontaneous fermentation) and the blending skill. I think the fact that the blenders can buy from multiple brewers and then age/blend gives them a range that it is hard for a single brewery to have. It would be amazing to see something similar in America. I'd like to pile on with the request for bug farming info. By the time a brewer starts to think about going sour, that brewer is probably also thinking about things like house character, yeast ranching, etc. It would also be nice to see some pictures of different fermentations/pellicles. Color pics might not be feasible on a self-publishing platform, but if you make an e-book, it might be an option. In regards to the blog, have you considered doing a post (or two) about your rig? You give good recipe info, but it might also be nice to see the gear that gets you from point A to B. Without a question I would buy it. mashing techniques, pros and cons, and the difference between new and old needs for certain mashes. Barrel aging with bugs, how breweries like russian river can keep their bugs alive in the barrels. Growth rates of each individual bug, live spans, limits (ph, abv, ibu, etc), and detailed characters/profiles. Some of your recipes, but also some recipes from the big dogs (bullfrog, thomme, vinnie, etc.). I find them beyond valuable in the earning process because it is something that you can buy in the store, taste, and see the direct result of the recipe and technique you just read about. Also, recipes on retired beers is like a free trip on a time machine. Proper technique on harvesting sour dregs from a bottle, I know vinnie was telling people something about using unfiltered apple juice in the mix, but it would be nice to have some tests run and see what works best. Or at least have documented a few options for beginners. The effects of temps during sour fermentation. I have seen huge differences in temps, but would love to see some side by side info. Or at least info from large scale brewers on temp control for sours. Breakdown on commercially available bug and wild yeast strains, your results, and interviews with the producers. Blending, when and why it can be necessary. Pros and cons of using a secondary fermentation. Details on extended aging, proper temps and conditions. Bottling, what carbonation level works best, what kind of bottles are best suited for the job, how to know when you have hit FG when it takes so long to get the small incremental changes. Bottling when you have used fruit, etc. Recipe formulation. What changes to make in your normal recipe if you are going to plan on souring it, what kind of beers will work better with bugs and which will not. Tanins, would like some info on wood aging, proper tanin levels, and the effects of the long aging with bugs on tanins and their subsequent "fall out". Myths and untruths about wild brewing. I have never seen an aspect of brewing so riddled with rumors and folklore as wild beers. Would be nice to see some of them proven true, or some of them exposed as false. A more detailed breakdown of your article written on brewing sour beers at home. I could see a whole chapter on brewing your first sour beer being beyond useful for any homebrewer looking to make the leap. Can't think of anything else off of the top of my head, but i have a feeling it's going to be a great read. keep us posted on twitter how it is coming. Here is a post on how I brew beer that I did a year or so ago. Sadly color photos are probably off the table (on Lulu it takes it from ~$7 to print to ~$40). Still not sure how I want to deal with recipes. In my opinion ~90% of the character of a wild beer is about bugs, fermentation, etc... and not recipe details. I think getting the techniques from a brewer gives more important information on how to make a beer like theirs than the specifics of a malt bill. We'll see. Thanks again for all the suggestions, mostly stuff I'd been planning on, but certainly a few more things for me think about more. Glad I put this post up before I started talking to brewers. I'm almost done reading Wild Brews and need a new source for more in depth knowledge so this would be perfect. Not long ago I thought to myself...he needs to write a book! I would definitely like to own this book. I would imagine that you'd want to not only reach out to the Professional brewers of Sours, but also to experienced Homebrewers of Sours. I think a section on purchasing and maintaining Barrels would be extremely helpful. Part of the reason why I haven't bought one yet even though I have a great local source for a used barrel. Another section that would be helpful is "Starter recipes" I've managed to get started with a few recipe's of my own...Flanders Red is 3.5 months young, and Two Brett Saison's (Brett L, and C) are only 2 weeks young... but it would've been nice to have a place to start or just a clear path on my way to funk! As a longtime follower of your blog I would definitely buy your book. What about some simple things like how you sample your Sours without disturbing the pellicle in a better bottle? Great idea. I would definitely write your book. A section on maintaining lactobacillus cultures on slants or plates would be really useful to some people, I think. I actually don't worry about breaking the pellicle... never had an issue with acetobacter or anything else. Sadly yeast (or bacteria) ranching isn't my specialty, but I'll ask around. Hey! I think it's a good project. I'd personally like to see a section on surviving historical folk beers since they were all mixed eth/lacto fermented. I'm talking about gruits, sahti, kvass, berliner, gose etc. Whatever assistance I can give with kvass info search, I'll be glad to do in my free time since I'm fluent in Russian. Also, whatever small insight into biochemistry I can provide you with is at your service (such as primary research article search and translation into common folk language). P.S. We met at BeerTable and I LOVED the "winter kvass". I was actually thinking the yeast/bug ranching info might be nice as well, even though it's something I haven't attempted. Specifically, information on balancing the counts for blends would be interesting. AlB, if willing, might be a great resource to talk with about things of that nature. Yeah, sounds really nice indeed. But please, don't forget the English tradtion: Porter, Stock Ales and so on. Many, many facts hard to find. Steven, head-brewer of The Albion brewing company, Québec. Well I'll just agree with some of the other posts here, but in my opinion A good solid discussion of the flavor and aroma char. caused by the different bugs, and esp the differing strains of Brett. As well as how these change during aging. ie I had a 3 gal Small beer that I pulled from second runnings of a dubble and pitched straight Brett C. into it. It smelt like a bad diaper for almos 4 months, but now it has a Light pineapple nose and clean tart taste. It would be nice to know that the aromas are going to change that drastically. I'd definitely be interested in your book. I'd be interested to hear about Berliner's and why there seem to be a lack of commercially available american brews for that style. Are they slow to catch on compared to other wilds or will we start to see more and more brewers experimenting with the style? I'll certainly have some discussion of adding Brett to English beers, although I haven't found a way to do them without killing the yeast or blending at serving. The difficulty with saying how beers should progress is that the same strains can behave very differently based on different conditions. I certainly talk about waiting through stages though. My favorite story about that was Terry from Bullfrog on numerous occasions almost dumping his GABF Gold medal winning Beesting sour saison because the flavors weren’t right (took 2.5 years in wood to come around). It is surprising how few Berliners there are despite how relatively quick/simple they are to make. I’ll certainly ask around, I wonder how well the Bruery’s version sells? I just found your blog a bout a month ago, and it is changing my life. I would totally buy your book. It looks like I am not the only one who missed the poll because I use google reader. I guess I need to actually stop by your site more often. I'd certainly buy the book, and read it, the one thing I fear, and that I find with pretty much every brewing book/blog/message board I read is that almost all of the advice/instructions are presented as proven fact, but in reality are just anecdotal evidence gained from the authors experience. While this sort of information is certainly useful, and I have used both your blog and the e-mail exchanges we have had to make better beer, as a scientist, I have a lot of trouble believing most of what I read based on the lack of hard, scientific investigation. While this will come with time (see Chad Y's masters thesis), it creates an interesting divide between the science and lore of brewing, which is a constant source of frustration for my science-trained mind. This book will certainly be more about the art/craft of brewing rather than the science behind why it works. Chad’s research on Brett is certainly interesting, but I think the craft that has developed in producing sour beers is often more useful in actually improving the results. I know Chad was working on a book, I’m not sure what his time timeframe is though. There is a lack of solid information from a homebrew perspective available on sour beers right now. I'd love to get into sours and funky bugs, but I'm just not sure, and I haven't made the extra investment yet. Please share your information! I've been reading your blog for almost two years now. I've learned as much here as I have from homebrewtalk or from my first home brewing book. I've found my favorite home brewing book, Radical Brewing, through this blog. I recommend it to people at my lhbs, and link to it on the homebrewing subreddit almost every chance I get. Also, thanks for doing the AMA. Unfortunately I didn't see it until a day or so later. I would definitely read a book if you wrote one. 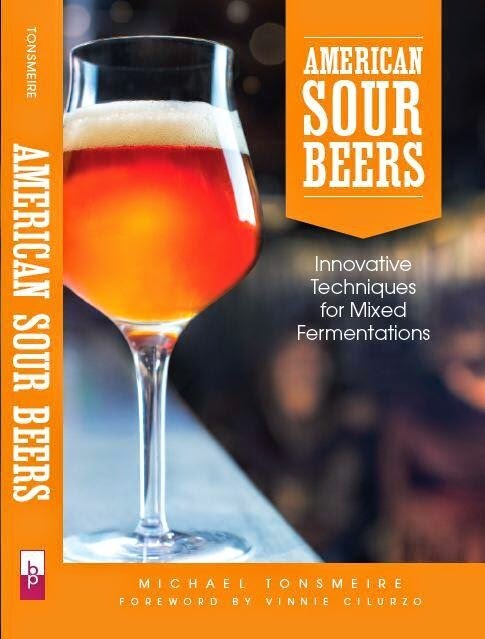 A book more focused on American sours and their processes would be great, Wild Brews did leaving me wanting in that aspect, along with ways to make sours more accessible for home brewers or dispelling the myths and stigmas usually associated with them. I would be more than willing to donate for startup funds and anything of the like. Someone to talk to about Berlinerweiss would be the brewer at Nodding Head in Philadelphia. According to Vinny, he makes one killer Berliner. The brewer at Nodding Head was interviewed for Brewing with Wheat on Berliners. Although I have heard conflicting stories about how they make theirs. I tried it and wasn't especially impressed, I like drier and sourer. I agree that Wild Brews focused a lot of traditional sour beers/techniques...I think there is room for an American edition talking with brewers here in the U.S. about techniques they use / have found work well (and those that don't). I'd also like someone to compare the commercial brett/bacteria strains to using bottle dregs...almost everyone says using dregs will give you more sourness/funk, but nobody has said why (other than bio-diversity or some sort of speculation). Speaking of techniques...it would be great to cover sour mashing, the quick-souring method you blogged about, and any other techniques that are non-traditional. If you write a chapter on bottle dregs, I'd like some details on what is in particular beers or what results can be expected by pitching the dregs. Perhaps inviting Al B to help... I'd like to see someone do a series of bottle dreg experiments...split 10 gallons of wort into 10 gallon jugs and pitch 10 different sour beer dregs (one into each jug) and write about results. not that these can be perfectly replicated, but most of us just dump whatever and as many sours as we drink into our carboys hoping the more is better approach will work. This would be kind of the non-scientific version of the brett strain work. sorry to be long-winded...I just have lots of thoughts here. If you would sell a book + one of your homebrews combo pack put me down for 6. I think a chapter on vinegar would be helpful. There are not a lot of good general how to's out there. Vinegarman has a big book but it doesn't say much. But more importantly understanding acetobacteria better and how they grow will help avoid them in beer making. I'm really looking forward to your book! I've been following your blog for some time and though I'm still fairly new to all grain brewing, its been very informative and inspirational. I wish I had some advice as to what I would like to see, but I think simply elaborating on your blog content is more than enough to make it an interesting read. Right on - looking forward to buying it! I'd definitely recommend a solid section on starter techniques for all the major players (lacto, pedio, brett...). I would buy it. Please write a chapter about saison brewing. Last night Nathan and I submitted a ~3,800 word story to BYO about brewing Saisons. Should be out in a month or two. I'd definitely buy it - I'm about to make my first sour after finally having a chance to get my hands on some sour beers from New Belgium and Russian River. 1. Culturing dregs from bottles, and what kind of starter is required. 2. Pitching rates of bugs and brett, and the flavor effect that can have. 3. Echoing a comment from above on recipe formulation - what would happen if you soured a stout vs. souring a pale. 4. Perhaps also a bit on re-using bugs once you've made a single sour. I would definitely buy it. Would love to see a section on alternate sources for bugs. Wyeast and white labs are hard to find across the atlantic as are any of the US sour beers. That will certainly be a section in there. I've read that some people use the Lactobacillus from yogurt/sour cream with good results(but I haven't tried it). No great sources for Pedio that I'm aware of (although it is used in some traditional cured salamis). You could use bottle dregs from Belgian sours (provided they are unpasteurized) or you could attempt a spontaneous fermentation (just did my first yesterday, post coming tonight). Heck... I will even help you sell it! Great blog. I'd buy your book. I hope there would be something written about catching wild yeasts and cultivating them into something sanitary and usable. Local terroir. though this is my favorite hobbyist brewing site, its quality tops most professional ones' quality, too. i'd love to see you write a book! Cheers! I'm hoping to finish the last of my primary brewer interviews this week, although I'll have a couple more secondary source type things to finish off. Should have a solid first draft by mid-January (sitting at ~100,000 words, ~230 pages at the moment)... maybe release by April/May? As you know there's a huge gap here between the info in Wild Brews and the techniques used by the brewers of so many American Wild Ales and Sours. There's a huge need here and I appreciate the edgy experience-based perspective that you provide. Your parallel tastings with different acids at different concentrations is really useful information that I'm just going to assume is in the book. I'm a brewing book and text book junkie and would even preorder a copy. Not sure whether it would be possible to include but profiling beer styles that traditionally would've had wild microbe influences all in one place would be great. I've come across so many random references to beer styles that were highly likely to have had wild microbe contributions but having them all in one place would be great. Useful, experienced-based info on maximizing acid production; there's so many theories and just as many people who complain that after they followed a theoretical practice that they still ended up with a minimal amount of acid production. I tried holding a lacto fermentation at 100F to try and maximize lactic acid production and it never really got that sour as one example. There's a lot of value in debunking "wild things" myths that are out there. -An interview with Al from East Coast Yeast would be a great chapter, too. I'd almost EXPECT a section on blending considering how hit and miss the results can be when brewing with the wild things. A chapter on wild/natural fermentations in other drinks could be incredibly useful. There's a load of traditional and new world vintners who perform natural fermentations with yeast living on the skin or even who use Brett; they're hated in the wine world generally so it would be great for the beer community to embrace them, IMO. I've been specifically tracking down some of these wines just to get a comparison of the flavors when the same classes of microbes are used in beer and wine. Many/most? natural ciders are brewed with yeasts living on the skins, too. -I actually find some of the wild cider yeasts the most pleasant and neutral in flavor, although some of them don't seem very alcohol tolerant; I'm considering pitching a bunch of apple skins into a mild ale to see what happens. This is definitely a frontier in brewing so there's lots of things that are yet to be documented. I've got lots of specifics on the available strains, but sadly the actual flavors you get can vary as a result of all sorts of things that are hard to control for (acids, oxygen, nutrients, gravity, sugars etc...) I'll report the results I've gotten, but it is tough to be definitive. I may include some mentions of historic beers, but this is really focused on American breweries. Same goes for other fermentations, if I don't have experience with it I'll avoid talking about it. If anything at the moment I have too much content. I'm submitting a proposal to Brewers Publications in a couple weeks, but if their timeline is too long I'll just continue with my plan to self-publish. Your blog posts are more informative than any brewing book I have read. Their candid nature provides the most appropriate backdrop--American wilds are pretty new, you're not a pro, but almost as close as you can get to being pro, and rightfully so! The worst way to write a book like this would be to preach a supposed truth in a field where there are none! Any publisher that does not see this is stupid. I actually think it helps that I'm not a pro since I can give fair analysis of each method/ingredient. It is shaping up very choose your own adventure like, lots of info on how the breweries go about each step of their process. Yes, especially if you had a section for beginners/lazy people like myself who simply want to have sours on hand at all times, but have a hard time locating/affording them. Your experiments are very cool but I rarely have the time/energy, so if you had some more or less foolproof recipes in there that would rule. FYI, I voted yes, and bought the book.